Milton "Mickey" Eder, PhD, joined Department of Family Medicine and Community Health research faculty in 2014. 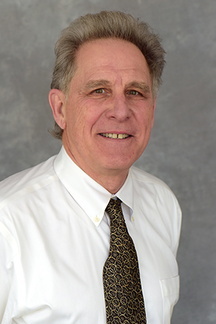 He is the associate director of the University of Minnesota Clinical and Translational Science Institute and Director of the Office of Community Engagement to Advance Research and Community Health. He studies translational research with the goal of improving health outcomes by transforming the public's relationship to healthcare and research. He founded and directed a primary care practice-based research network of Federally Qualified Health Centers, exploring research ethics, patient engagement and patient safety. Dr. Eder has chaired a biomedical Institutional Review board and served as an Associate Editor for Progress in Community Health Partnerships: Research, Education, and Action. He earned a PhD from the Committee on History of Culture at the University of Chicago. Gladstone TRG, Terrizzi, DA, Paulson A, Nidetz J, Canel J, Ching E, Berry AD, Cantorna J, Fogel J, Eder M, et al. Effect of Internet-Based Cognitive Behavioral Humanistic and Interpersonal Training vs Internet-Based General Health Education on Adolescent Depression in Primary Care: A Randomized Clinical Trial. JAMA Netw Open. 2018;1(7):e184278. Persell SD, Karmali KN, Lazar D, Friesema EM, Young Lee J, Rademaker A, Kaiser D, Eder MM, French DD, Brown T, Wolf MS. Effect of Electronic Health Record-Based Medication Support and Nurse-Led Medication Therapy Management on Hypertension and Medication Self-management: A Randomized Clinical Trial. JAMA Intern Med Published online July 9, 2018. ?Zieghan L, Nevarez L, Hurd T, Evans J, Joosten Y, Dumbauld J, Eder MM. An Exploratory Study of Clinical and Translational Science Award Community-Engaged Research Training Programs. Journal of Clinical and Translational Science. https://doi.org/10.1017/cts.2018.23 Published online: 25 June 2018. Eder MM, Holzer J, Calhoun C, Strong LL. A Retrospective on the Vision for Progress in Community Health Partnerships: Research, Education, and Action. Progress in Community Health Partnerships: Research, Education, and Action. 2017; 11(1): 1–11. doi: 10.1353/cpr.2017.0001. PMCID: PMC5547189. Solomon S, DeBruin D, Eder M, et al. Community-engaged research ethics review: exploring flexibility in federal regulations. IRB: Ethics & Human Research. 2016;38(3):11-9. Grieb SD, Eder MM, Smith KC, Calhoun K, Tandon D. Qualitative research and community-based participatory research: considerations for effective dissemination in the peer-reviewed literature. Prog Community Health Partnersh. 2015;9(2):275-82. Gladstone TG, Marko-Holguin M, Rothberg P, Nidetz J, Diehl A, DeFrino DT, …Eder M, et al. An internet-based adolescent depression preventive intervention: study protocol for a randomized control trial. Trials. 2015;16(1):203. Eder, MM, Firke C. Stand against cancer: evaluating a breast and cervical cancer screening program for uninsured patients. Progress in Community Health Partnerships. 2015;9(1):129-34. Eder MM, Carter-Edwards L, Hurd TC, Rumala BB, Wallerstein N. A logic model for community engagement within the Clinical and Translational Science Awards consortium: can we measure what we model? Acad Med. 2013;88(10):1430-6. Persell SD, Eder M, Friesema E, Connor C, Rademaker A, French DD, King J, Wolf MS. EHR-based medication support and nurse-led medication therapy management: rationale and design for a three-arm clinic randomized trial. J Am Heart Assoc. 2013;2(5):e000311. Engstrom M, Alford S, Hampton K, Longmire M, Kraus Schwarz M, Eder MM. Evaluation of SISTA and Safety Counts in “real world” settings with African American women in Chicago. Public Health Reports (accepted for publication June 2018).